Couple kick Templar cross design earrings copper finished in bright gold. 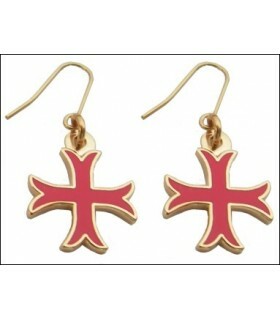 Pair of earrings with Templar cross kick. Shiny gold finish. Enamelled in red. 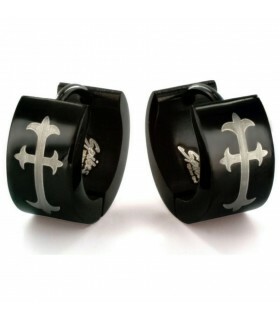 Earrings gothic black cross. Includes the couple. 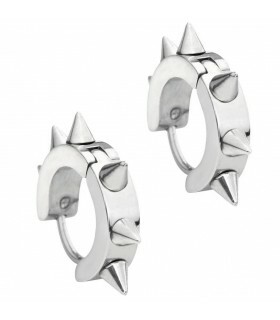 Earrings gothic silver spiked. Includes the couple. 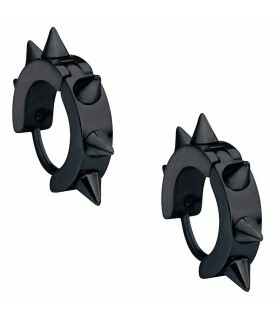 Earrings gothic black with spikes. Includes the couple.